Flathead Lake Brewing Co. – FLBC took Third in Nationwide Brews from the Sun Competition! It’s official. 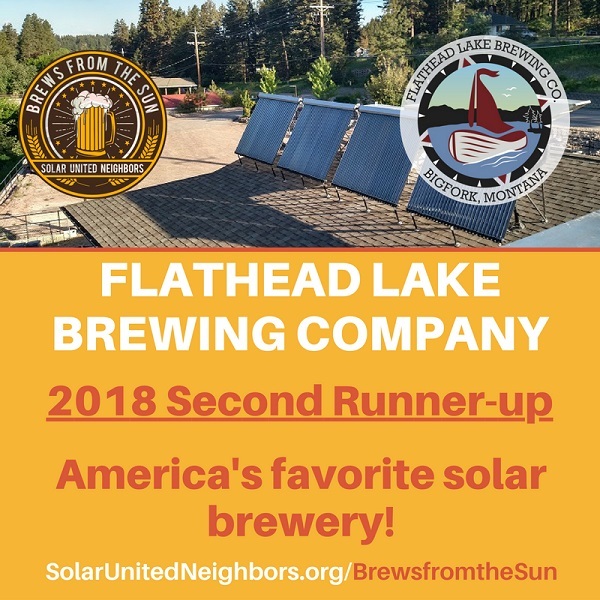 The Flathead Lake Brewing Co. came in THIRD place in the nationwide Brews from the Sun competition put on by Solar United Neighbors. We couldn’t have done it without the amazing community we have here in the Flathead Valley and beyond. THANK YOU to everyone (all 771 of you) who took the time to vote for us. 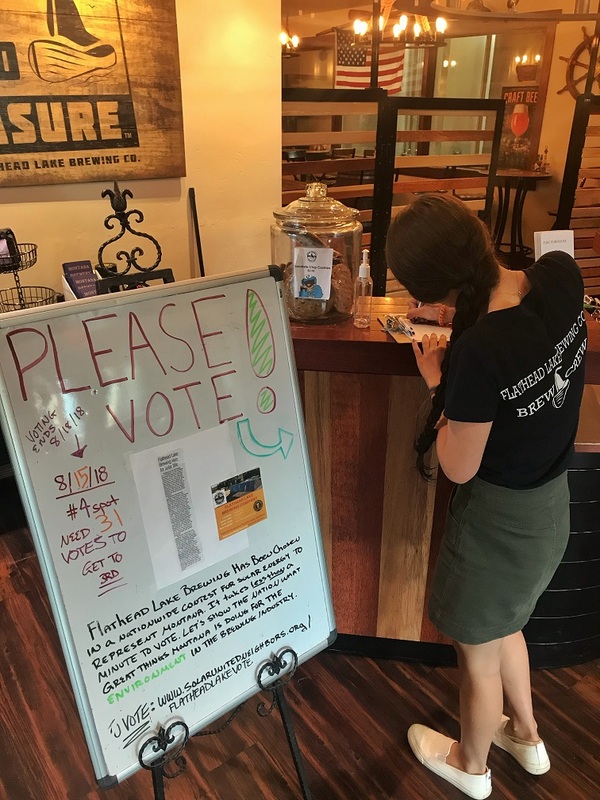 This competition was a great tool to help us educate more people on the sustainable aspects of our brewery and why we feel that using solar power is an important aspect of our overall goal of being environmentally responsible. Congratulations to Mudshark Brewing Company and Legal Remedy Brewing for their first and second place titles!